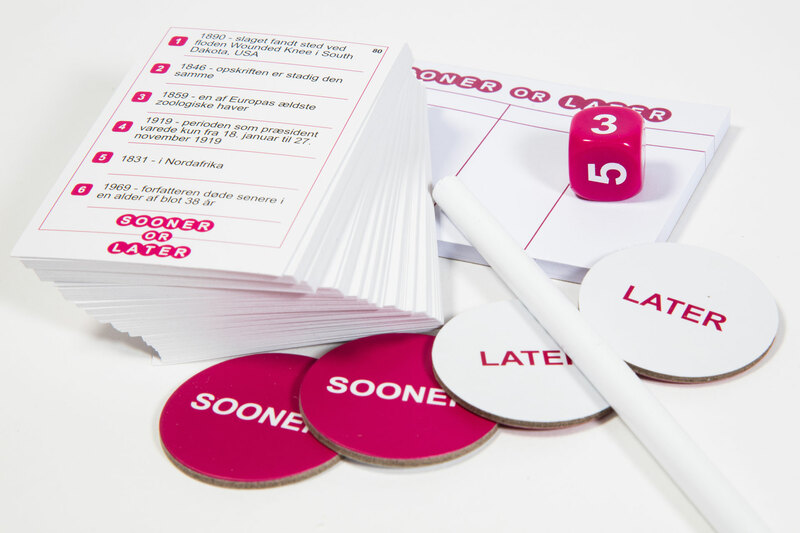 SOONER OR LATER explores your knowledge about the years but you do not have to know the exact years to win the game. The players take turn in guessing a particular year for an occurence and the other players can score points by betting on wheter it actually took place sooner or later than that year. Complicated? Not at all.